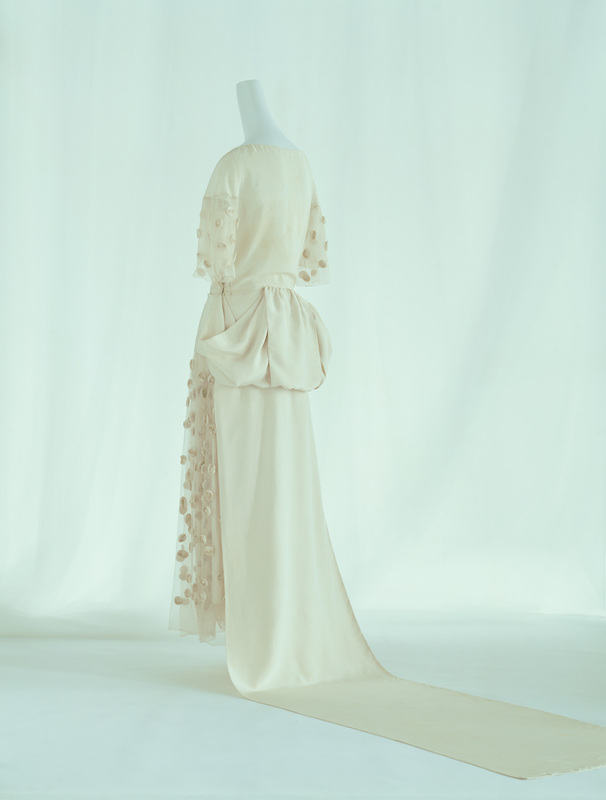 White silk faille and tulle; ankle-length one-piece dress with straight-cut hem; bow and train; rose embellishments of silk faile by Lesage. 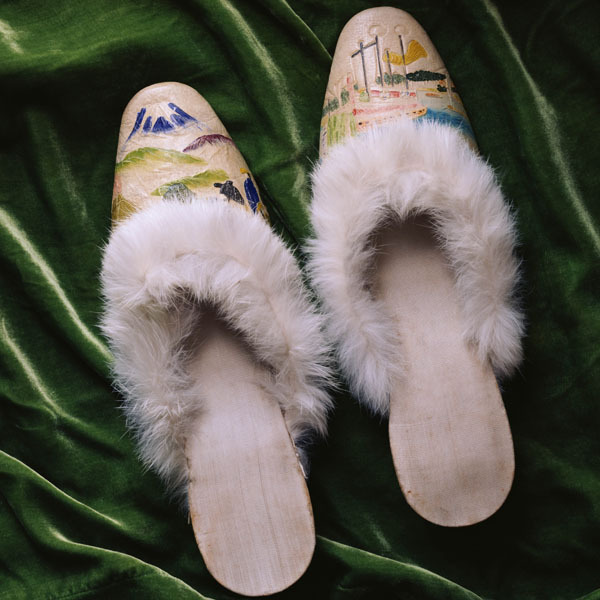 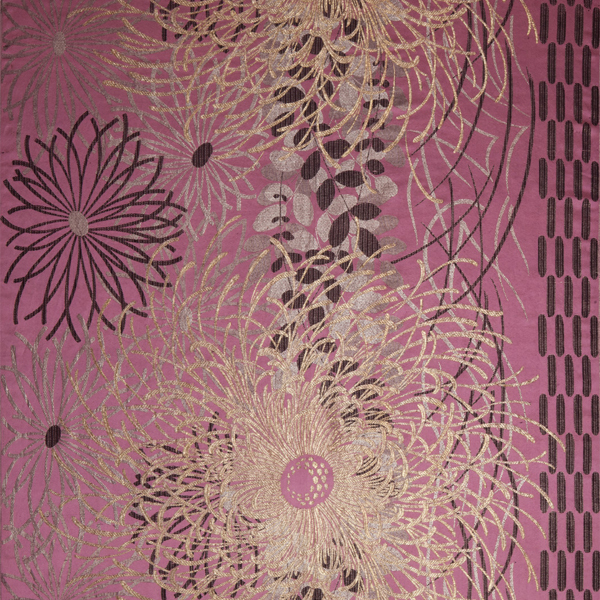 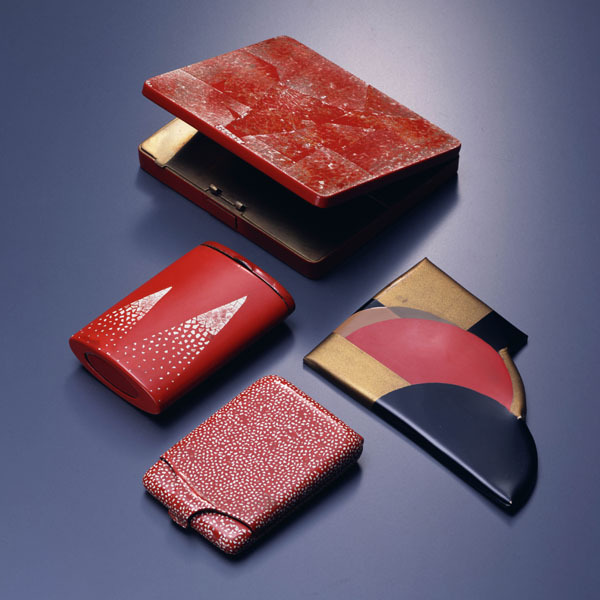 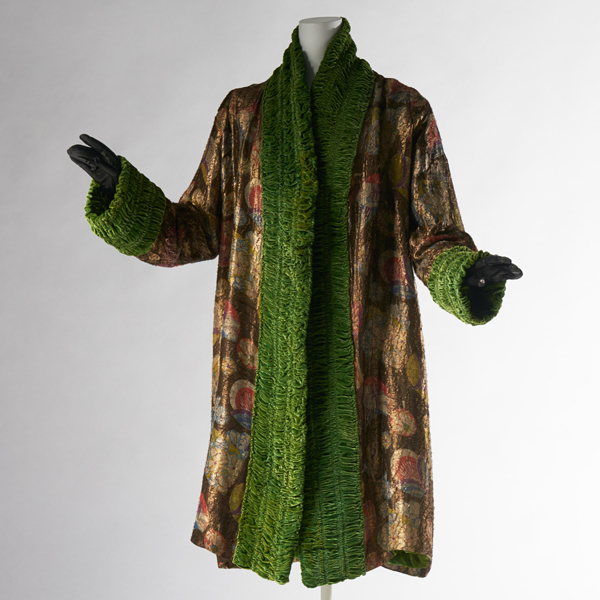 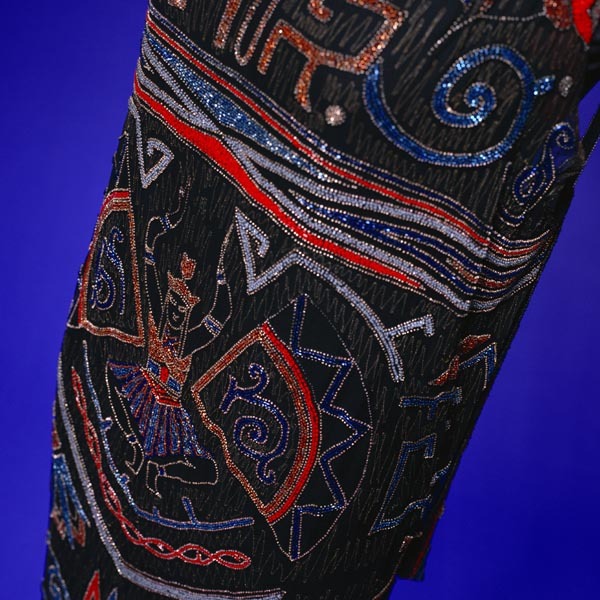 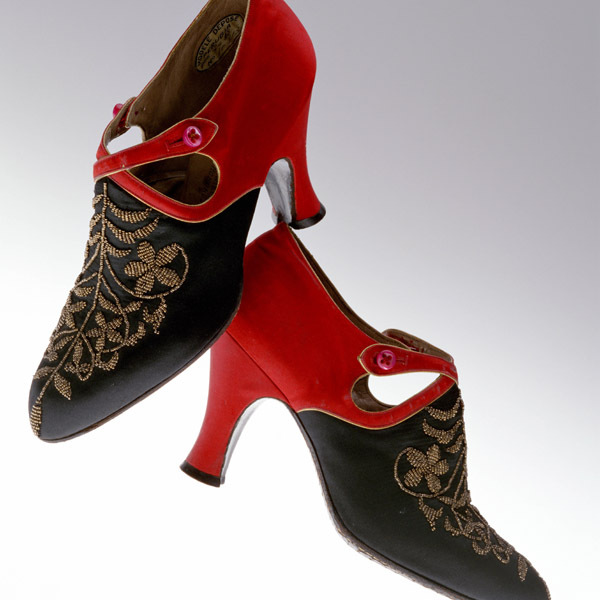 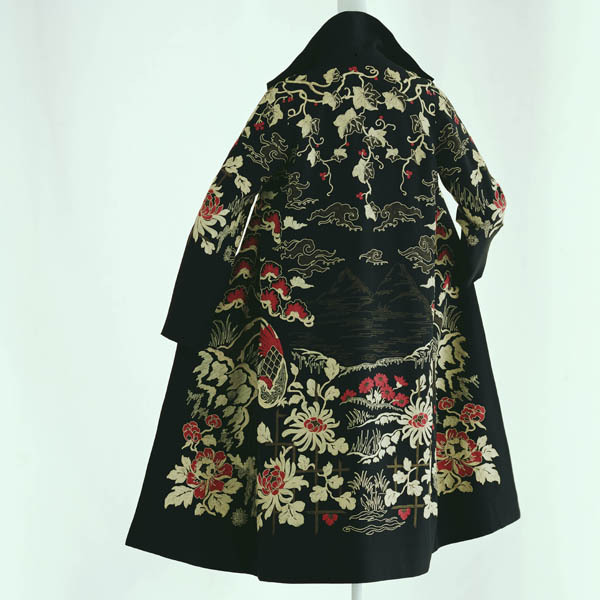 The pattern for this piece is constructed of rectangular panels, just like a kimono pattern. 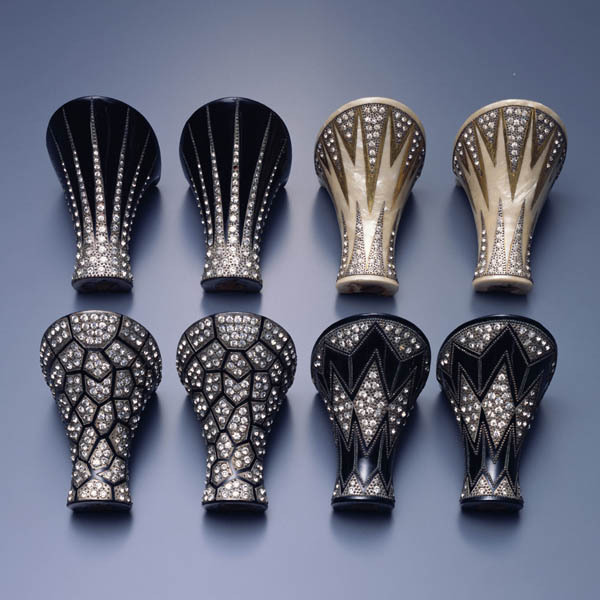 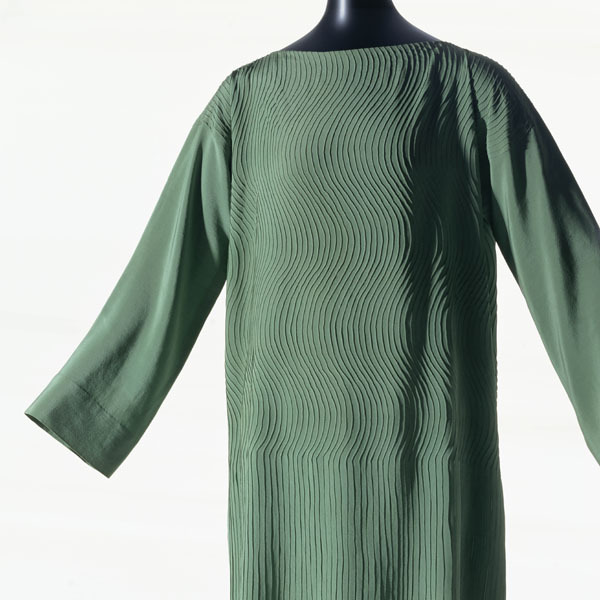 Cut in straight lines, it is characterized by a tubular silhouette that does not emphasize the narrow waist or the swelling of the breast and hips. 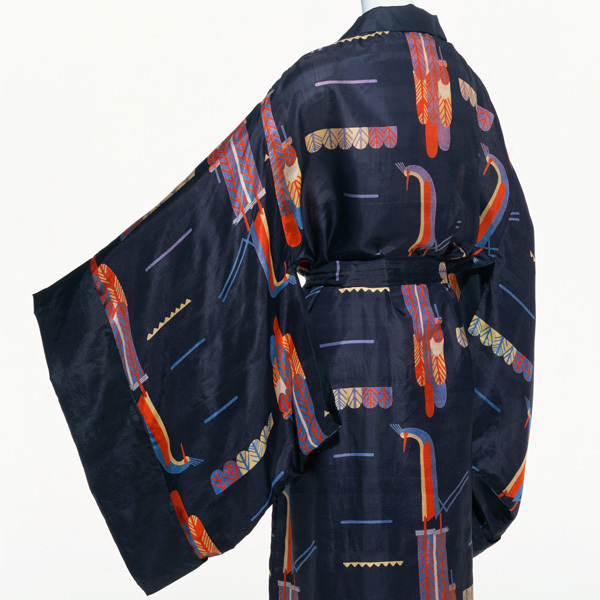 Rather, the bow fluffs up at the back, creating the effect of an obi. 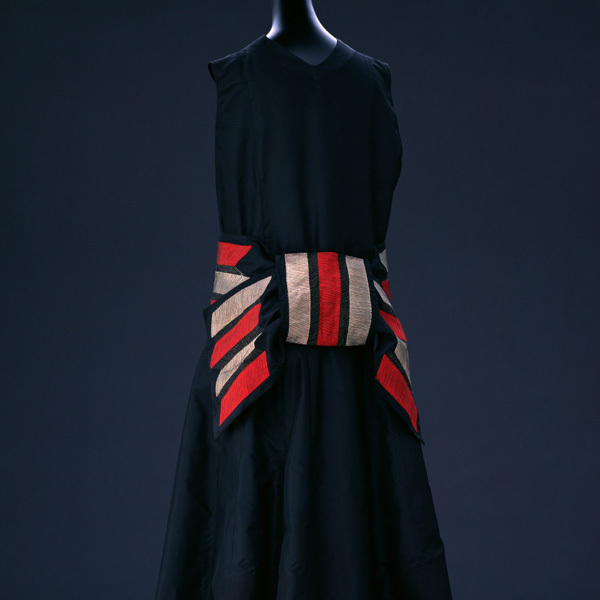 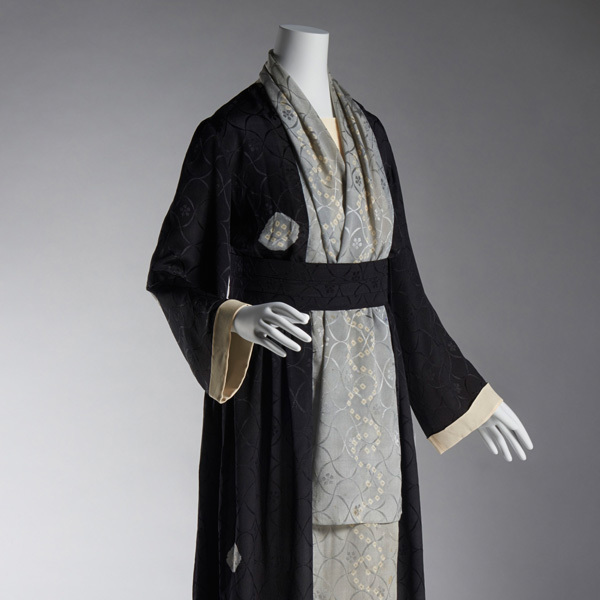 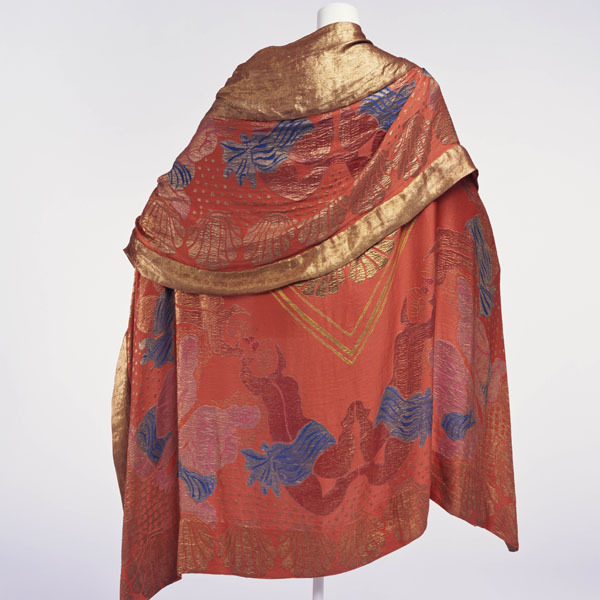 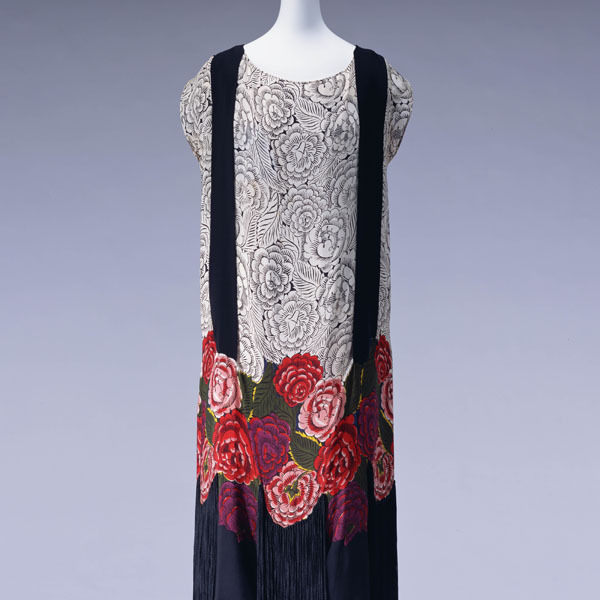 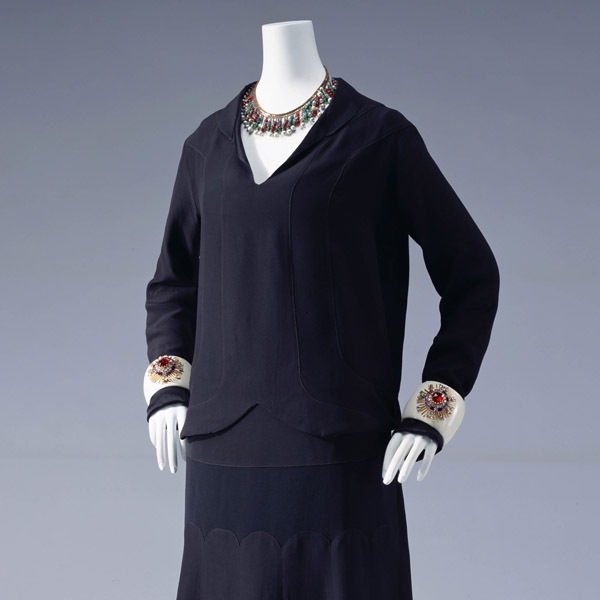 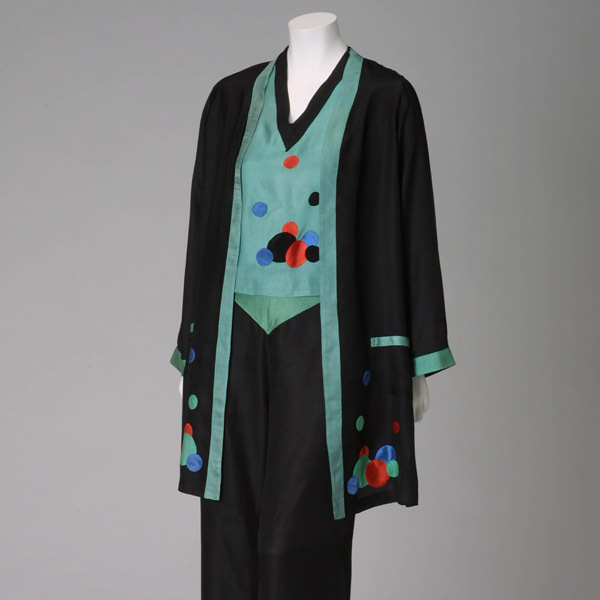 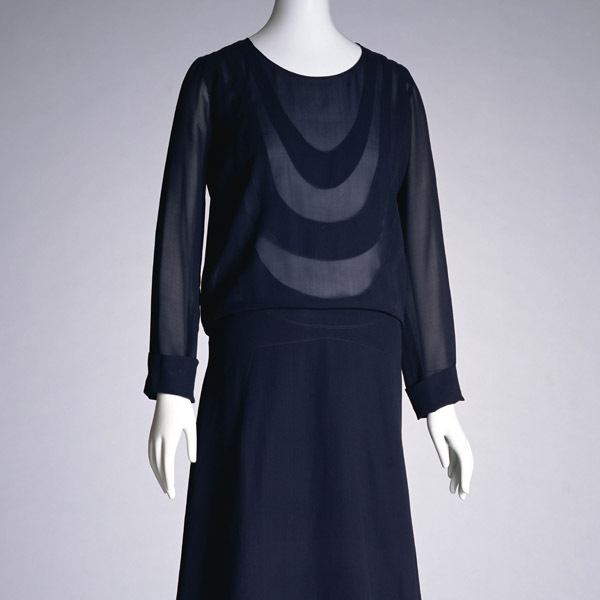 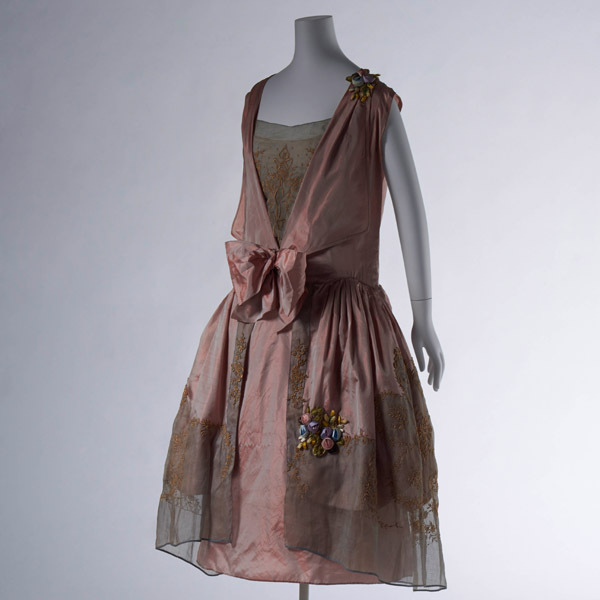 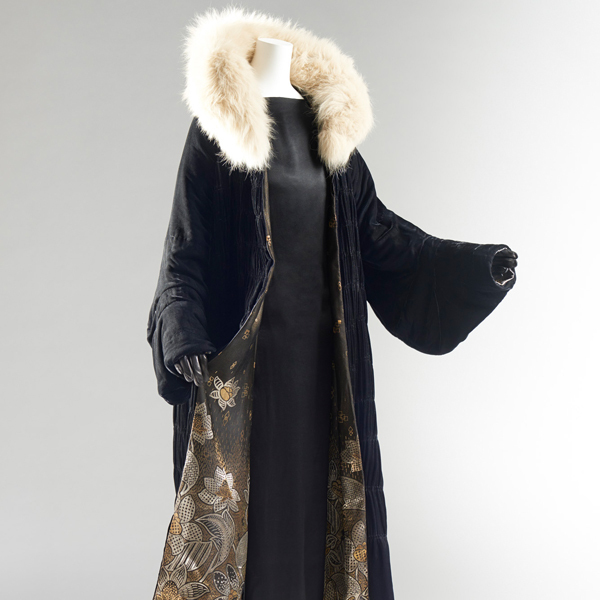 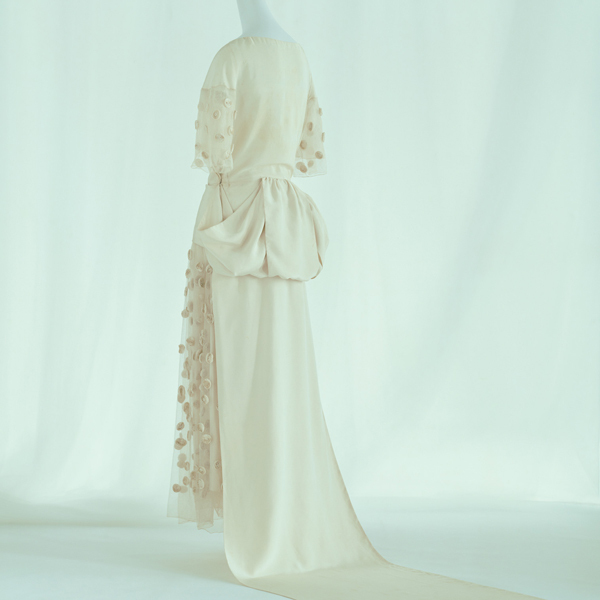 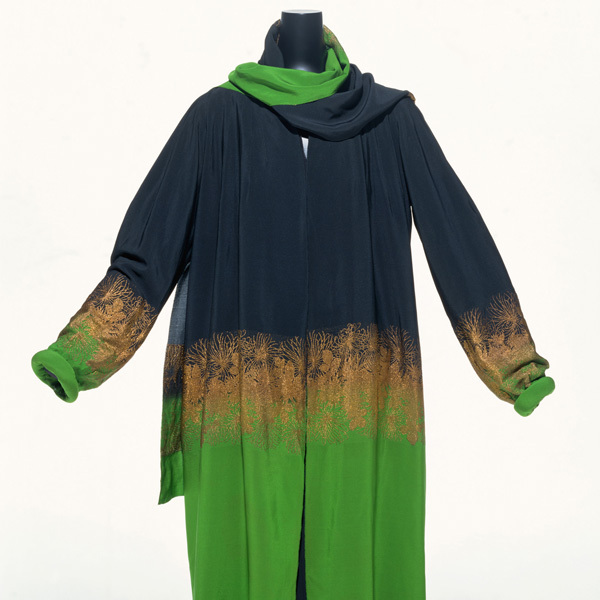 In 1924 Vionnet produced a work entitled Japonica; this piece, likewise, clearly indicates her interest in Japan. 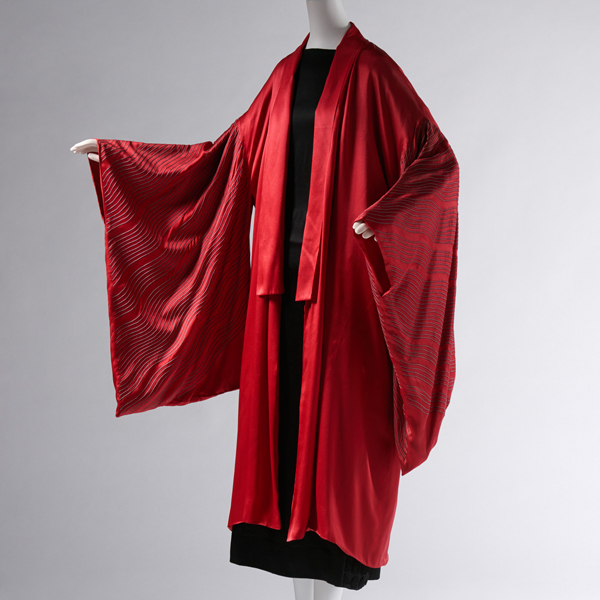 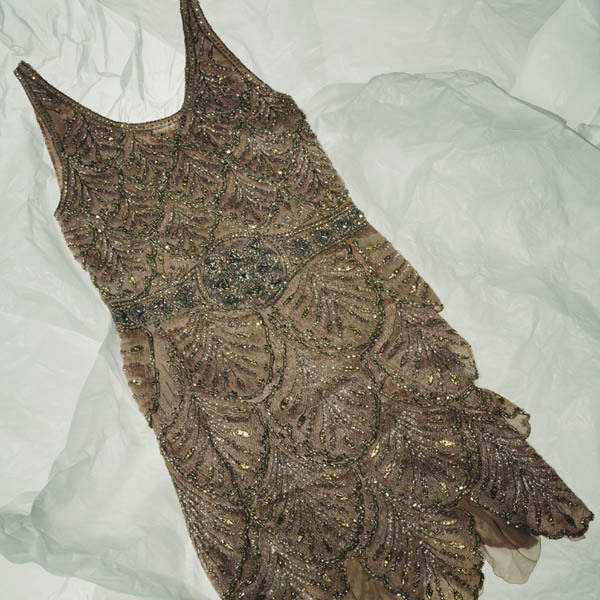 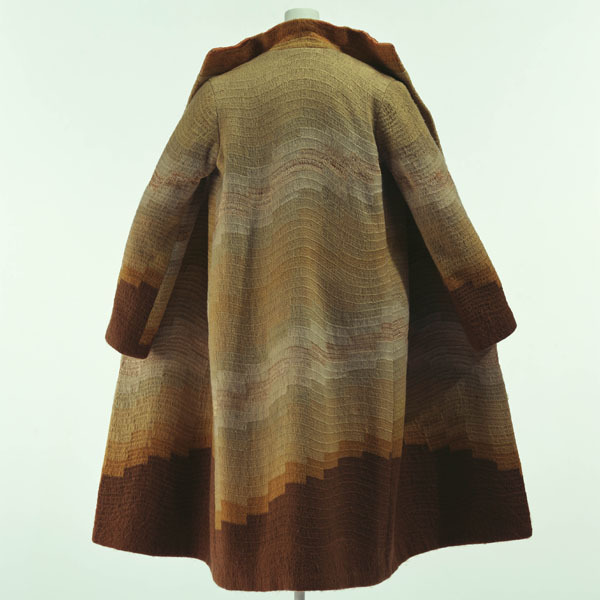 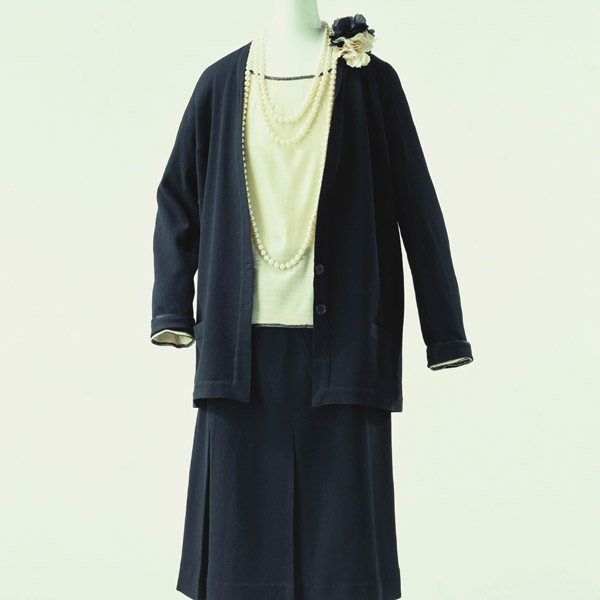 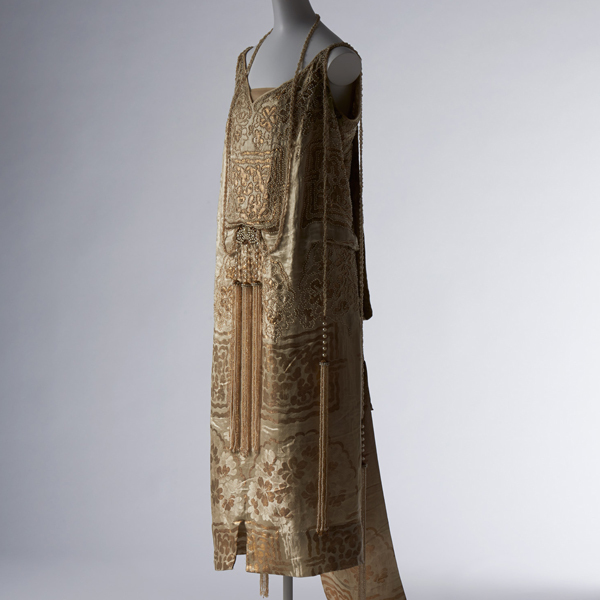 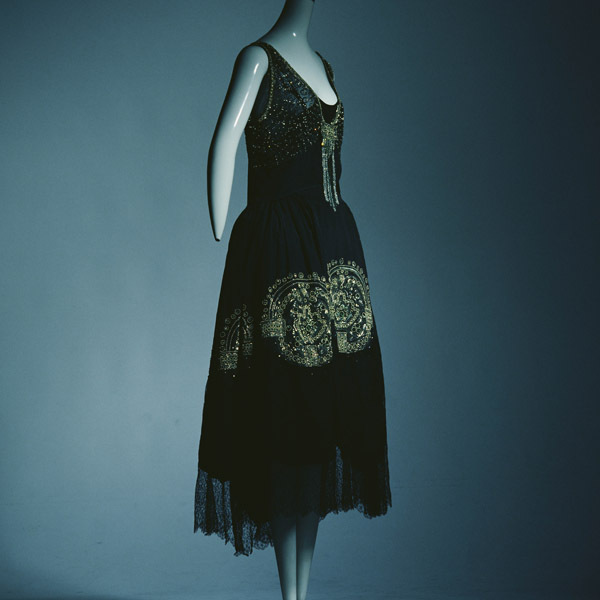 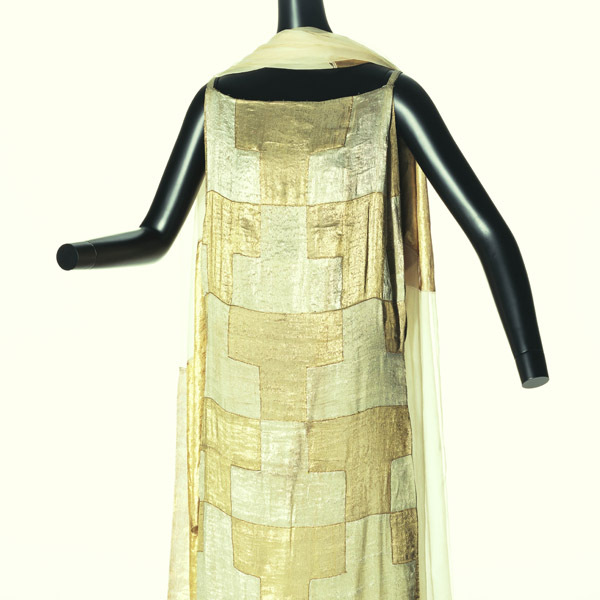 Madeleine Vionnet became interested in Japonism while working in the House of the Callot Sœurs, and collected Japanese kimono and ukiyo-e. She became independent in 1918 and through the first half of the 1920s made many loose-fitting pieces that draped evenly over the body as well as kimono-slip dresses. 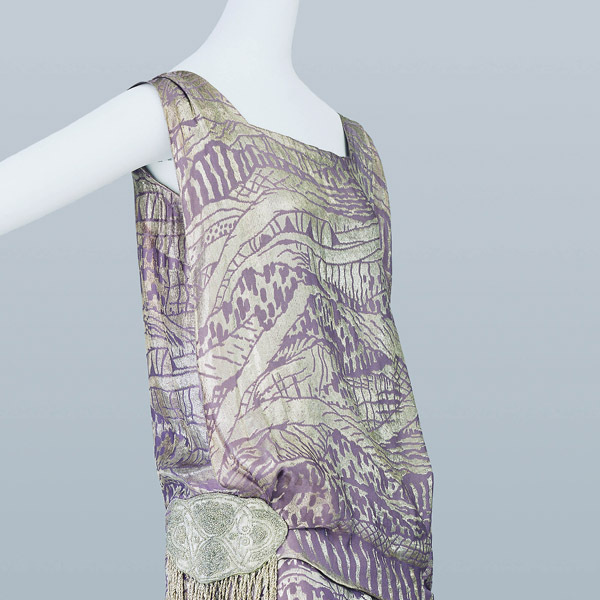 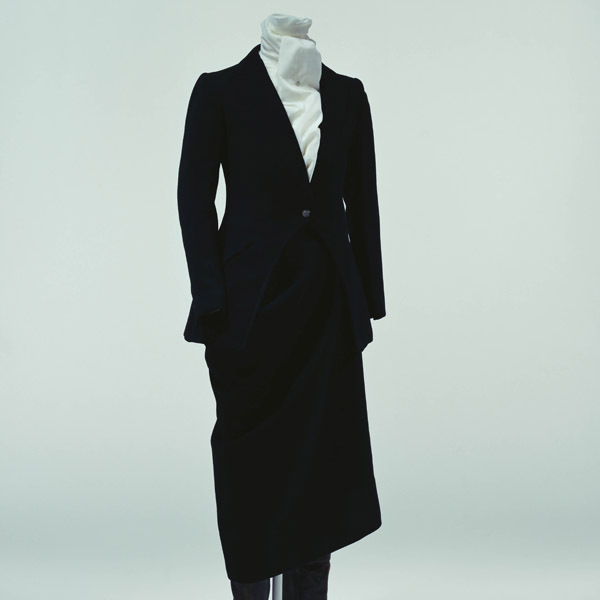 These illustrate Vionnet’s search for a new relationship between the garment and the wearer, one that was not part of traditional Western garment construction based on cutting clothing to fit the contours of the body.